Gentle Giant Moving Company is an award winning Charlotte moving company with highly trained, professional movers. 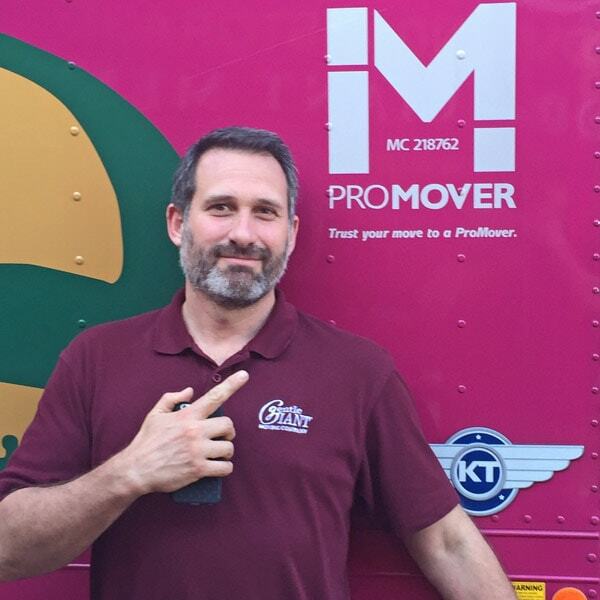 Situated within the city, our Charlotte movers serve customers throughout the entire area, including Matthews, Weddington, Marvin, Waxhaw, and more. Gentle Giant is confident working in high rises Uptown, navigating through the communities of Freedom Park, and making the trip up N. Tryon to University Place. Gentle Giant serves Charlotte, NC and the greater Charlotte area including Matthews, Huntersville, Cornelius, Gastonia, Mt. Holly, and Pineville. 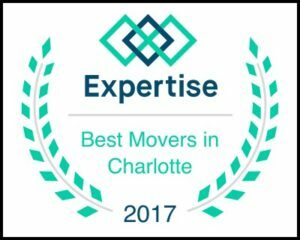 Gentle Giant has won numerous awards for professionalism and competence in its 30 year history, which is why it is one of the top Charlotte moving companies. Check out some of our reviews on Yelp. Our Charlotte, NC office also serves areas in the state of South Carolina including Rock Hill, Fort Mill, Riverview, and Wintercrest. 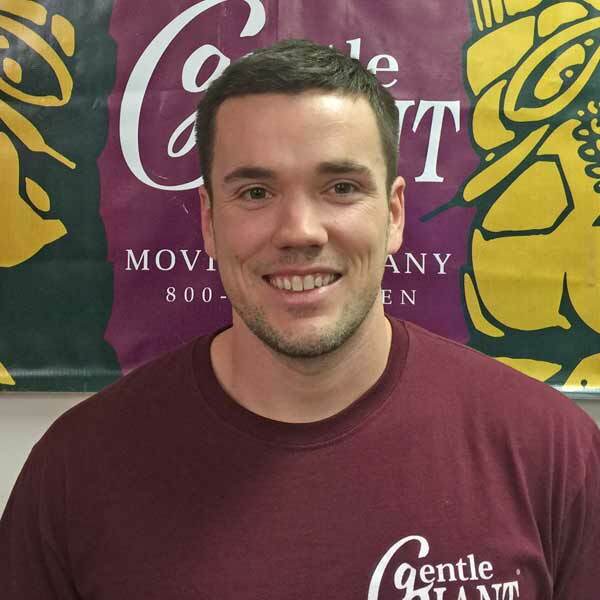 Chris is a native of Charlotte, NC and has been working at Gentle Giant Moving Company since 2007. He is a strong believer in the value of hard work and loves tackling the every day challenges he experiences on the job. Most days before or after work, Chris will be in the warehouse gym lifting weights and staying in shape for rugby season. Bob grew up in Rhode Island, spent winters in Hopkinton, MA and summers on Prudence Island, but has called Charlotte, NC home since 2006. This is the year he was promoted to help manage Gentle Giant's burgeoning Charlotte presence. In college, Bob was actively involved in community development. He traveled across the country working on Habitat for Humanity projects and spent a summer in Guatemala on an economic development team. The group was asked to create a low-cost feed system for livestock that functioned in conjunction with the village farm store, which they were also helping to build. Bob attended the University of Rhode Island, where he was an avid volleyball player. He even played semi-pro beach volleyball doubles. When Bob isn't busy at work, he loves to play guitar, record music, paint, draw and spend time at the beach with his wife and children. Since Michael Valle's start at Gentle Giant, he has been a constant source of positivity and fun, on the job and in the office. Customers and employees both agree that when "the going gets tough, the tough get Michael Valle." His work ethic and great energy have helped him to go from an entry-level position to a leader in the Charlotte office. 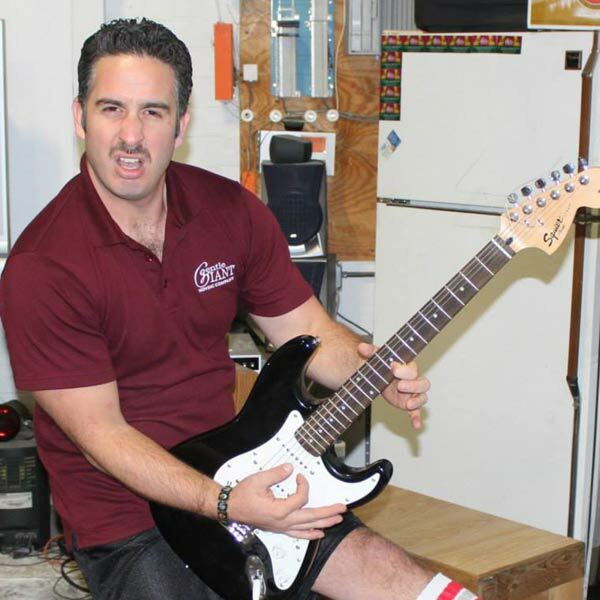 When Michael isn't helping with sales, marketing and operations in Charlotte, you can find him shredding on guitar, dancing, grilling out with his family, working out or perfecting his mustache. Rating: 4.8 - 1839 testimonials. I honestly don’t know how you manage to find staff with such amazing personalities. Our moving crew (Joe, Chris, Quentin, Matt, James, and Darius) were upbeat, friendly, funny, and absurdly polite. And not just with us, the customers. What struck me is how great of a team they are, how friendly and helpful they are with each other, supportive, communicative, happy. They are truly a delight to work with, and I don’t think we could dream up a better team if we tried. I don’t know how you find these guys, but whatever you’re doing and whatever your training/management /teambuilding style is, it’s good enough for a Harvard Business Review case study. Seriously. Charlie, and his merry crew of bandits (we had 6 guys total) did an awesome job. I don’t hand out praise often, but believe in doing so when it is well merited. These young men did a very fine job of representing your organization. From the pack, to the labeling system, to the communication, to the hard work of the guys on site, my wife and I have been thoroughly impressed and will have no quips about recommending Gentle Giant to anyone who is looking for a moving resource. Side note: the movers had an awesome attitude, they hustled, they were tireless, they were polite, etc. Could not ask for a better crew. Accommodated me for everything I asked for. The team (led by Jan) was very professional and courteous. They treated my possessions and property with care. And they were very punctual and quick. They worked hard and fast and didn’t complain at all, even when I asked them to move my rug around after the bed was set in place. Everything that I would have hoped for in a moving company! You were highly recommended by a work colleague, who had used your services a few times over the past year. I will be happy to recommend you to others. This is the second time we’ve used Gentle Giant and it is the best local moving company we have ever used. The quality of people your hire is phenomenal and they are efficient and excellent communicators. We happened to have the same lead mover, Josh, and he is so great! This made moving stress free and we recommend them to everyone. The crew was friendly, careful with my items, fast and efficient. We were very impressed with the professional service and the friendliness of the men who assisted with our move. We could not have asked for better service. We worked with Gentle Giant 2 years ago when we moved into our new home. We immediately thought of that great experience when it was time to get help moving furniture around the house. And the best part is we were able to work with Chris again (he helped us with the large move). It was so great to open the door and find a familiar face! He and Ian were professional, efficient and fun to work with. I am grateful for all of their hard work (and patience with Stanley the dog). As always, the Gentle Giant team goes beyond expectations. We are so grateful to Chris and Ian!